↑ Latin America. A concise interpretive history. Prentice Hall, 1994.Fineberg, Jonathan. Since Art. ↑ CNN Mexico (July 6, 2012). 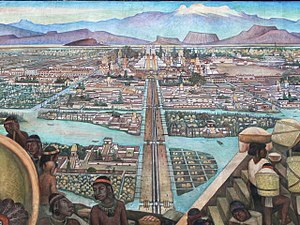 "José María Velasco 'portrays' Popocatepetl in the 'doodle' of Google" (in Spanish). Accessed July 6, 2012.